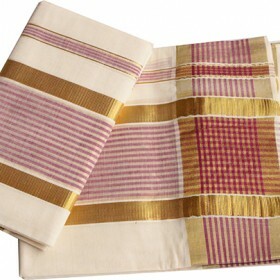 Extra length single Set Mundu (Kasavu Mundu). 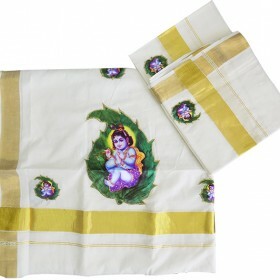 Wide and narrow Rose, White and gold colour borders as..
An amazing Kerala kasavu settu mundu of Krishna in aalila patch work is the main attraction. 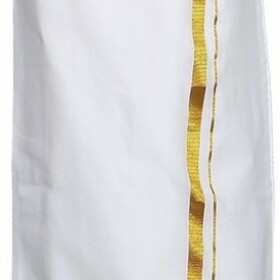 It is o.. 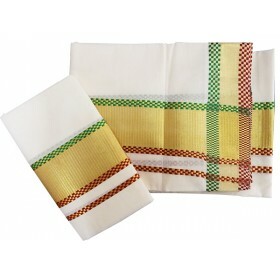 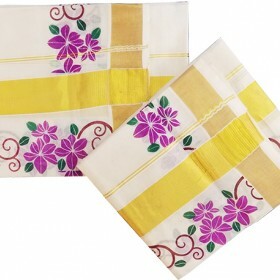 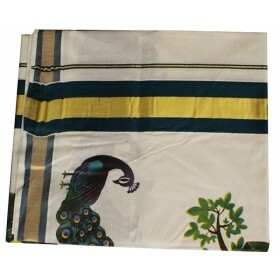 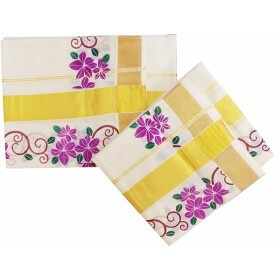 This Kerala tissue Saree with Gold border has painted Mural in the border and chest a..
Women’s like to wear traditional churidar for their special occasions; here is your dreamed kasavu churidar from MALABAR SHOPPING to fulfill your needs. 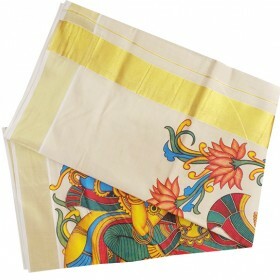 This is a long top having simple butta work on the chest part and temple design along with floral golden kasavu work on the rest of the body to make it rich. 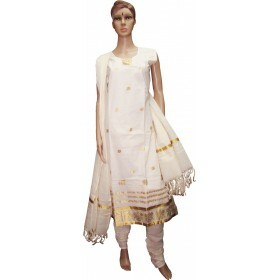 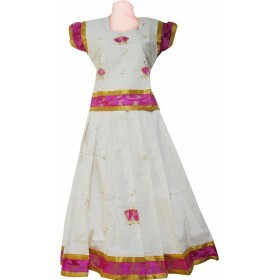 It has crush bottom along with dupatta having kunchalam which gives a comfort feel to everyone. 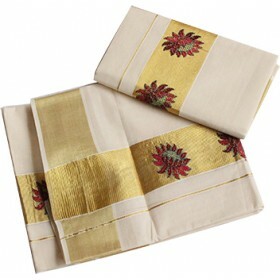 This can also be one of the best gifts that you can ever give to your loved ones.